Shri Guru Gobind Singhji Institute of Engineering and Technology, Nanded has advertised in THE TIMES OF INDIA newspaper for recruitment of Professor / Associate Professor / Assistant Professor jobs vacancies. Interested and eligible job aspirants are requested to apply on or before 16th March 2019. Check out further more details below. About College : Established in 1981, Shri Guru Gobind Singhji Institute of Engineering and Technology (SGGSIET), Nanded, is one of the promising leader institutions in technical education, research and technology transfer. Since its inception, the institute is dedicated to students’ centric learning and believes in pursuing academic excellence. It is having neat, clean and green campus spread over land of 46 acres. It receives 100% grant-in aid from Government of Maharashtra. 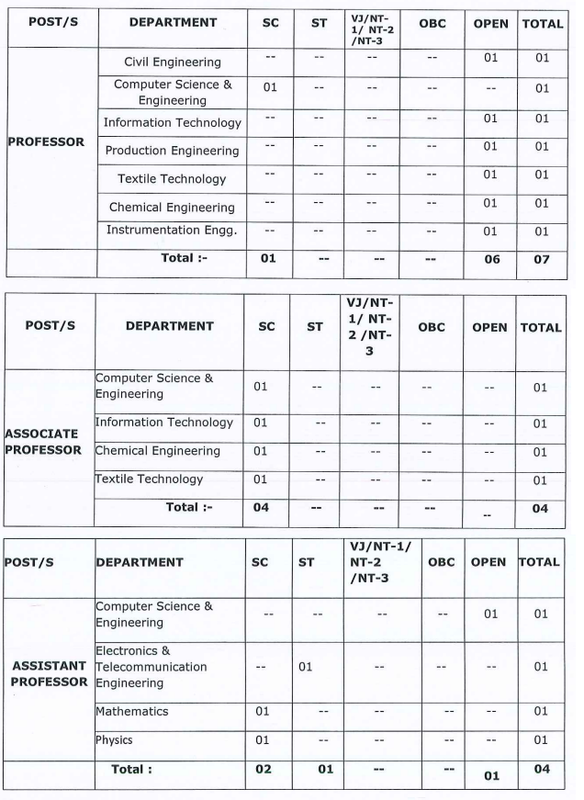 M.E / M.Tech / Ph.D. For more details please refer to the official notification. How to Apply: Interested and eligible candidates are requested to send their application form filled in prescribed format available with the notification file and supporting documents with application fee DD to the following postal address.